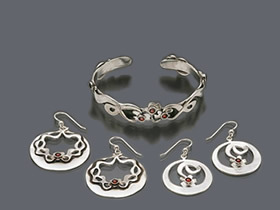 Description: With its hard and soft edges, this image symbolizes feminine strength. 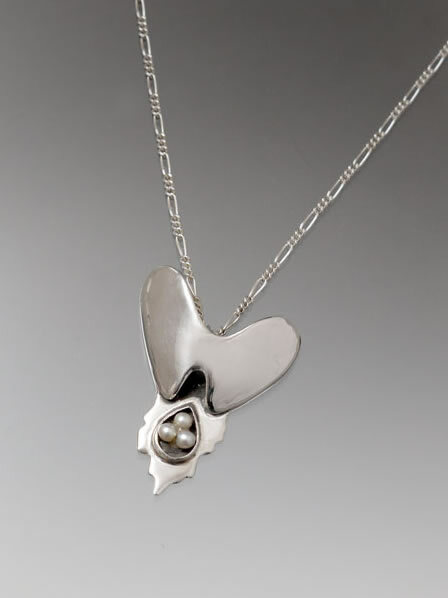 Made of sterling silver with oxidized accents, and pearls. A tiny piece of 14K gold is hidden inside.